for some of the most popular mountains across the US and Canada, Google Maps is your “go to” mountain guide. Whether you’re shredding Squaw Valley, Big Sky, or Okemo, Google Maps are a comprehensive, accurate and easy way to find the best route down the hill. 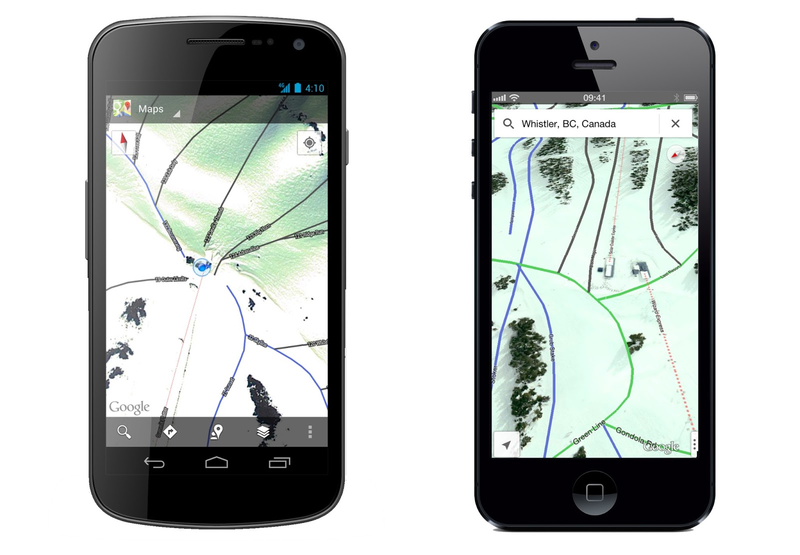 Power up Google Maps on your Android device or iPhone, and the mountain information you need is right there. 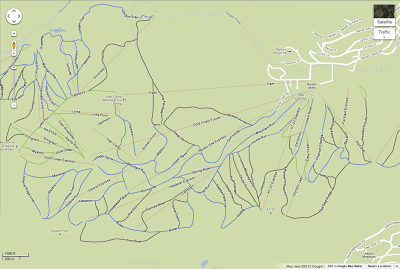 Blue, green and black runs are shown as solid colored lines and ski lifts are red dotted lines. Ski resorts in Google Maps can also be helpful when you’re gearing up for a trip. You can check out the maps on your laptop browser to plot your course, and even get a Street View preview of a few select slopes before you head up the mountain. We hope you’ll use these maps to discover new trails and find your way around the mountain more quickly and easily. We’ve got more ski resort maps on the way, so be sure to check Google Maps before your next trip. See you out there! You just stepped out of the gondola into a strong wind at the peak. It’s cold and you’re weighing whether to drop into that powdery black diamond chute you’ve always dreamt of...or sliding down the nearest blue for hot cider at the base. With 38 new run and lift maps for some of the most popular mountains across the US and Canada, Google Maps is your “go to” mountain guide. Whether you’re shredding Squaw Valley, Big Sky, or Okemo, Google Maps are a comprehensive, accurate and easy way to find the best route down the hill.